If you have pets of your own, then you are probably already aware of the dangers of ticks and other pests like fleas. These insects are drawn to the fur coats of dogs, cats, and other animals – from where they feed on the animals’ blood, breed and eventually lay their eggs. The end result is that your beloved pets end up bringing an entire colony of ticks or fleas into the house, where they spread to your furniture, fittings, and bedding. Apart from the irritation and itchiness ticks and fleas cause to you and your family – as well as your pets – they can also be the bearers of dangerous disease. Fortunately, there are many weapons you can wield against these creatures, and one of the most effective and essential is a good tick repellant. Read on as we examine what these devices are, how they work – and then proceed to review the best tick repellants currently available on the market. Though they are small, rather inconspicuous looking creatures, ticks actually pack quite a powerful punch. Not only do their bites cause extreme itchiness and irritation to your skin, ticks are also the carriers of infectious disease, some of which result in symptoms like nausea, fevers or chills – whilst others can lead to even more serious issues like long-term neurological problems, or even death. The most famous disease ticks are known for transmitting is, of course, Lyme disease, an affliction which can cause joint pain, inflammation of the brain, and eventually death (what’s more, the global incidence of Lyme disease has been steadily increasing since the 1990s). Ignorance really is bliss where it comes to ticks, then! When it comes to protecting you and your family against these creatures, you need to know as much as possible about them – from their appearance, the signs of their existence, where they like to camp out, and what to do if one attaches itself to you – or if you suffer a full-blown tick infestation. First of all, ticks are actually arachnids – not insects. This means they bear a closer relation to spiders than mosquitoes or flies. They even look similar to spiders, with four sets of legs, zero antennae – and they don’t jump or fly either. Rather, to feed ticks will latch onto a prospective (animal or human) host that comes into the vicinity of their nest; from their, they scout about for a bear batch of skin that they can easily penetrate in order to extract the blood within. And unlike mosquitoes, when a tick bites you it will probably hang around feeding for a few days – not minutes. 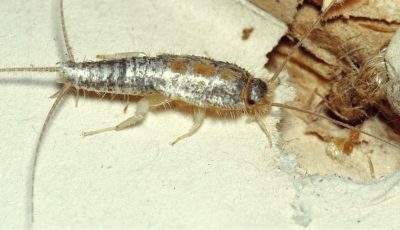 Because these creatures are so small, you probably won’t even notice their presence. They don’t immediately start spreading whatever disease they happen to be carrying, either. For example, it takes at least 36 to 48 hours before the bacteria that spread Lyme disease are able to infect you. Which means that if you are able to remove a tick within the first 24 hours, you will be immune to this plus most other diseases that ticks carry. The symptoms of tick-borne diseases don’t start showing up until after a few days either. Ticks set up their nests in areas containing dense foliage and vegetation. It is usually by attaching themselves to your animals that they migrate to human habitations – once inside your home ticks will set up camp just about anywhere, including your bedding, the furniture, and soft fittings. And because they are hard to detect and breed quickly, before you know it you could have a full blown tick infestation on your hands. When it comes to removing individual ticks, avoid yanking the creature away from you or your pets’ skin – or squeezing it with your fingers. Both of these methods will cause the tick to inject it’s (pathogen-containing) bodily fluids into your bloodstream. When it comes to large-scale tick infestations, prevention is, as usual, better than cure. This means regularly cutting back any dense foliage that borders your property, and where your pets like to roam – this is where ticks choose their nesting places. 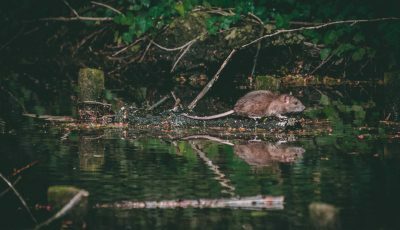 It also means avoiding these places as best as possible when out in the great outdoors, particularly during summer, which is peak tick season – and when that can’t be done, wearing good, thick clothing – preferably treated with insecticide – and having as few areas of exposed skin as possible. When you are out hiking, fishing, camping, another good tip is to do frequent tick checks, examining your skin for the presence of ticks every two or three hours, say. When it comes to protecting your pets from the predations of ticks and fleas, there are numerous good options out there for both preventing and eliminating the creatures, including medications, topical treatments like Spot On and Frontline, shampoos, collars, and flea powders. Washing and grooming your pets on a regular basis is another fine way of preventing ticks from gaining a foothold. Another good choice, and perhaps the only viable one in the case of large-scale tick infestations – where ticks have spread from your animals to the interior of the home itself – is a good tick repellant. 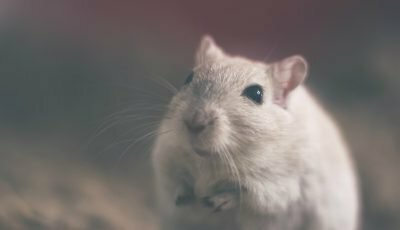 If there are still ticks and tick eggs or larvae in your carpets, rugs, furniture and soft fittings, as well as your pets’ bedding, your animals will quickly be re-colonized by the blood-sucking pests. Because tick repellant generally comes in the form of a spray, it can be applied to all these surfaces and more – in addition, the residue left by the chemical provides lingering protection against future insect incursions. Tick repellants are devices, usually in the form of an aerosol spray (although you can also get repellant lotions, gels, roll-ons etc), which contain a chemical that – you guessed it – either repels or kills outright those ticks that come into contact with it, including the eggs and larvae. DEET is the most common active ingredient in tick repellants – though recently, because of concerns about it’s environmental friendliness and toxicity to humans, other alternatives have been appearing on the market. For example, pyrethrins-based tick repellants make use of a chemical which is industrially produced but acts similarly to a naturally occurring extract from the chrysanthemum flower. Other tick repellants now appearing on the market make use of all-natural, eco-friendly ingredients like citronella and rosemary essential oil extract. When it comes to the ongoing war against ticks and fleas, a good tick repellant is one of the best allies you can have by your side when toughing it out down there in the trenches. Now that we have looked at the nature of the problem posed by ticks, what tick repellants are and how they work, it is time to look at some actual products out there on the market. Read on as we examine what in our opinion are the best tick repellents in town at the present time. For long lasting protection against ticks, mosquitoes, flies, fleas and other common household pests, choose this quality offering from Sawyer Products. With their Ultra 30 repellant lotion, you get a potent, 30% DEET insecticide formula combined with a smooth, all-natural liposome base that ensures comfort to your skin, as well as a slow-time pesticide release that greatly extends the length of time you are protected with this product. In fact, this repellant delivers up to 11 hours protection against pests, making it almost unprecedented among comparable products out there on the market. What’s more, the liposome is a completely natural compound, so you can be sure it will cause no irritation to your skin – it is also completely free of odors and stain. You can combine it with sunscreens, and it is completely sweat proof as well. Simply apply the lotion to your skin and you are good to go. Equally effective in the backyard at home, or when you are out camping, hiking or fishing in the great outdoors. Hit insects for six using Sawyer Product’s Ultra 30 Insect Repellant lotion, this tick repellent beats most of the competition hands down when it comes to being among the best tick repellent products on the market. Long lasting, comprehensive protection against ticks, fleas, mosquitoes, flies, gnats and other annoying pests is just a spray-can away with the Off! Deep Woods insect repellant from SC Johnson. This unique insecticide formula contains 25% DEET, potent enough to ensure it will kill all pests outright – and the residue left by the spray delivers up to 8 hours of ongoing protection against the insects before it needs to be re-applied. Equally effective both indoors and outside, this product is perfect for dealing with a tick or fleas infestation inside your home – spray it on your pets, your furniture and bedding – or protecting yourself out in the backyard, or when out hiking, camping or fishing in the great outdoors; whatever the purpose, this product will get the job done. 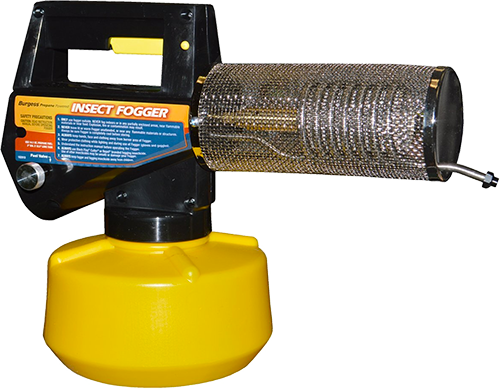 This repellant comes in the form of an aerosol spray making it super easy to use, just pull the trigger and spray the desired areas using a single sweeping motion. Although it leaves a residue, there are no greasy stains or mess to clean up afterward, and there is no unpleasant, lingering chemical odor either. Choose this product from SC Johnson if you want enduring protection against all manner of common household pests, it’s easy to use and super affordable as well – this product basically ticks all the right boxes so far as tick repellants go. If you are tired of being assailed by ticks, fleas, mosquitoes, flies or other common household pests, then we have the answer for you – in the form of Ben’s 100 MAX Tick repellant. 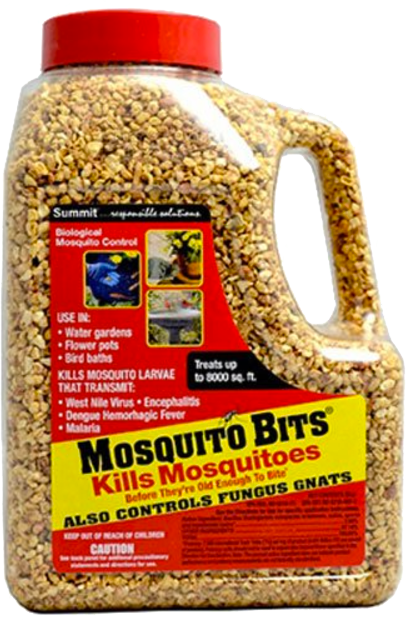 This product contains the maximum possible amount of DEET, making it THE product to use in regions of high insect density and high bite frequency where you average insect repellant just doesn’t cut it. Avoid being infected with West Nile Virus, Malaria, Lyme disease and other maladies when out enjoying nature and the elements; the 100 MAX repellant delivers up to 10 hours of protection against biting insects. Contained in one compact, easy to use spray pump bottle, you can take this Deet tick repellent with you wherever you go – and because of the long-lasting protection it provides, a single bottle of this tick repellent for humans is sure to last you a long time. There are no odors or greasy residue to contend with either. Protect you and your family against irksome insects – and the diseases they spread – using the 100 MAX insect & tick repellent from Ben’s. This is a great anti-tick spray product, well and truly worth the investment of time and money – take it from us! Here is one DEET-free tick and insect repellant that actually works! Natrapel’s unique 20% Picaridin formula delivers up to 12 hours’ protection against ticks and mosquitoes, and a maximum of 8 hours protection against biting insects. It’s one of the few insect repellants that in independent clinical tests consistently performed as well if not better than DEET-containing products. And it’s completely non-toxic, and thus safe to use on and around pets and children – as well as being a far more eco-friendly option than DEET! Use this tick spray for humans on you and your pets, your furniture, equipment, carpeting, bedding and fittings in order to eliminate fleas and ticks from the home – or take it with you on your camping, hiking and fishing trips – this Deet tick repellent is fit for whatever purpose you have in mind. All of its benefits are contained in a single, easy to use spray bottle – with no odors or greasy residue to contend with either. Natural has really hit a home run with this tick killer spray product of theirs’. For an insect repellant that is potent, long-lasting – AND eco-friendly – you can’t go past it. Go out and grab one for yourself today. With Coleman’s tick and insect repellant by your side, you will be able to fully enjoy your outdoor experience this summertime – no annoying, biting insects to contend with. Whether it’s flies, mosquitoes, ticks, fleas, lice, gnats, chiggers or other common pests, this 100% DEET formula will keep you well protected, even in the most bug dense regions on earth where the risk of being bitten – and infected by disease – is extremely high. THIS is the insect repellant to use where your average, run-of-the-mill products just don’t cut it. Coleman’s tick and insect repellant deliver long-lasting residual protection as well – it will be up to 10 hours before you need to re-apply this product. Easy to apply, it’s no different from any standard aerosol spray can, this tick repellent spray for humans is also completely free of odors and greasy residues that have to be cleaned out of your clothes. 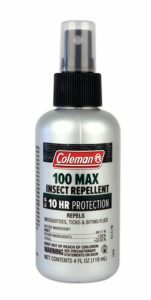 Turn your home and outdoor environs into a bug-free one, and protect yourself against deadly diseases like the West Nile virus by using this insect repellant from Coleman, it’s one of the best products of this kind out there on the market today. Highly recommended. Repel by name, repel by nature! This unscented Tick Defense repellant provides you and your loved ones with comprehensive and extremely long lasting protection against ticks, flies, fleas, lice and other insects – as well as the dangerous diseases they bear like the West Nile and Zika viruses. And it does so without compromising safety or the environment – the picaridin containing formula is far more eco-friendly and non-toxic than the DEET-based repellants that for years have dominated this market. Unlike the latter, you can use this tick spray on and around your pets and children with peace of mind. Easy to apply, you just spray onto the human or other surfaces (including protection) that need protection, and the residue left by the tick repellent spray for humans delivers up to 10 hours’ ongoing protection against pests. You can use it both indoors and outside – and achieve equally good results either way. Spray it on your pets, their bedding or your own furniture and fittings in order to remove ticks and fleas – including their eggs and larvae – to use it to create a bug barrier between yourself and blood-sucking mosquitoes when you go camping, hiking or fishing. Odor free and with no greasy residues to clean up afterward, this repellent is also extremely user-friendly and easy to apply. Shield yourself from pesky insects and protect your family against the dangerous diseases they transmit using this product from Repel, it’s one of the best tick repellants available on the market right now. Works like a charm according to most consumer reviews! The fine people at Repel are back with another fine insect repellant product, this particular offering of theirs’ makes use of a 98.1% DEET formula that delivers total, comprehensive protection against ticks, fleas, biting flies, mosquitoes, chiggers and no-see-ums – even in the most bug dense regions where being bitten is almost a certainty. What’s more, the residue left by the initial application of tick repellent spray delivers up to 10 hours’ protection before re-application is necessary – a single bottle of this stuff will certainly last you a long time. Easy to use, and with a compact design that makes it easy to transport around, this tick spray product is also completely free of any unwelcome chemical odors and messy stains that will need to be cleaned out of your clothes and furniture. It’s suitable for use both indoors (when dealing with tick and flea infestations in the home), and outside – whether you’re simply enjoying a barbeque in the backyard, or are out camping, hiking or fishing. Dangerous diseases like the West Nile and Zika Viruses have been in the news a lot lately, protect you and your loved ones against them by choosing a product that repels the insects that carry them. 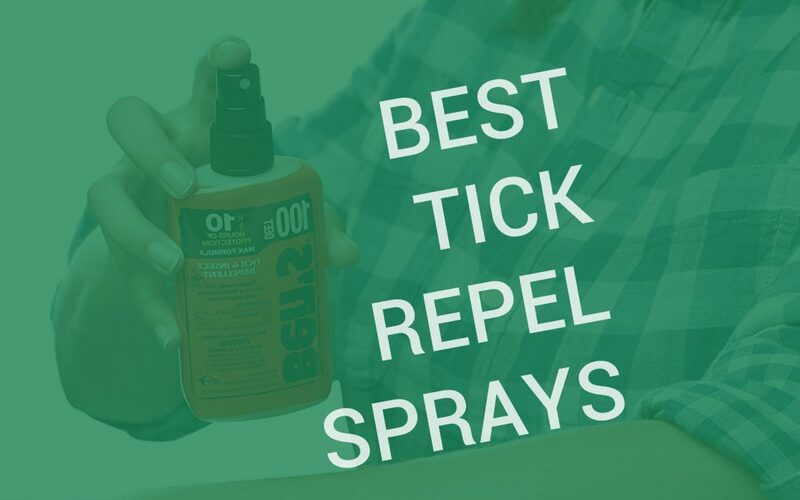 This Deet tick spray product from Repel enables you to do precisely that. It’s well and truly worth the investment of time and money. Repel insect repellant, keep you and your family well protected against biting insects and the dangerous diseases they carry, including the Zika, Dengue, West Nile and Chikungunya Viruses. Here we have yet another fine offering from Repel, this tick repellant of theirs’ will efficiently eliminate ticks, fleas, flies, mosquitoes and other common household pests from your surroundings – including the diseases they carry – and then keep them away from the both of them by virtue of the long-lasting residual protection it offers. Contained in a simple, easy to use spray pump bottle, this 40% DEET formula is one of the most potent repellants out there. After the initial application, let it sit and the residue left by the tick repellent spray will provide you with a further 8 hours’ protection. Suitable for use whether dealing with ticks and fleas inside your house and on your pets, or protecting yourself against bugs when relaxing in the backyard, or out camping, fishing, hiking, or trekking – this is one versatile tick pest control insect repellant. It’s super easy to use and is compact and portable as well. Repel is also odor free and non-staining, so no greasy residues to clean out your clothes or furniture afterward. For comprehensive protection against pests and the diseases they carry, look no further than this product from Repel, it ticks all the right boxes and is just about the best tick repellent for humans out there on the market today. Cutter Skin sensations have really outdone themselves with this insect repellant spray of theirs, this spray on lotion contains a 7% DEET formula which is still potent enough to dispatch flies, mosquitoes, ticks, and fleas, but is also gentle enough to be child-safe and family friendly. Apply to your skin, clothing, or the interior surfaces of your house, it comes in a 360 degrees spray pump bottle that delivers spray at any angle – very convenient! After the initial application, you get up to 10 hours’ residual protection with this product. Suitable for use both indoors (dealing with ticks and fleas inside your home), and outdoors (defending yourself against biting, airborne insects when outdoors enjoying the elements), Cutter Skinsations’ Deet tick spray repellant is also a very versatile product. It’s also odor- and stain-free with no mess to clean up afterward. Say hello to summer whilst bidding farewell to ticks, fleas, flies, and mosquitoes with this quality insect repellant from Cutter Skinsations, it’s one of the best products of it’s kind out there on the market today. Last but not least in this review article, we have this fine insect repellant from Sawyer Products. Containing a 98.1% DEET formula that delivers maximal protection against fleas, ticks, flies, mosquitoes and other pests – as well as the dangerous diseases they carry – this product will protect you even in the most insect dense of environs – situations your average insect repellant just isn’t equipped to handle. What’s more, it delivers extremely impressive residual protection also; up to 10 hours in the best of cases. Use indoors or outside, and get equally good results either way. This repellant is also extremely easy to use (simple spray pump bottle mechanism), and clean with no lingering chemical odors or greasy residue to contend with. 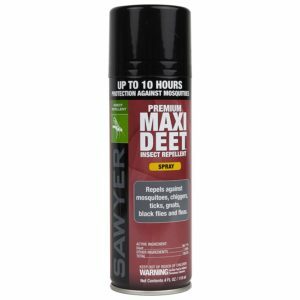 We have reviewed some pretty good repellants in this article, and this offering from Sawyer Products is absolutely no exception. It’s one of the best tick repellants out there on the market today and a fine note on which to round out this article. Summer is on the way and with it the usual hordes of ticks, fleas, flies, and mosquitoes – along with the diseases (some of them deadly) that these insects carry. Don’t expose you and your loved ones to the risk of illness: choose one of the tick repellants reviewed in this article, and your summer will remain a dream instead of becoming a nightmare.